Tropical hardwoods are hard, durable, dense, and heavy. Tropical hardwoods are quite expensive compared to most other types of wood. 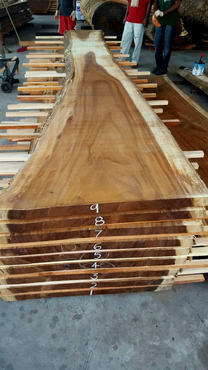 Per board foot (144 cubic inches): mahogany runs between $8 and $18; wenge runs between $19 and $25, teak runs between $18 and $45; rosewood runs between $35 and $45; and ebony runs from $35 to $100.